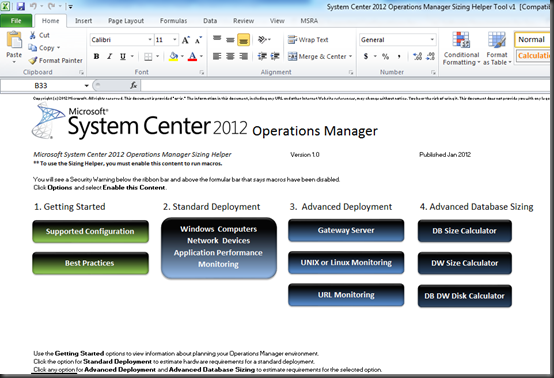 Use the System Center Operations Manager 2012 Sizing Helper to help plan hardware capacity for deployments. 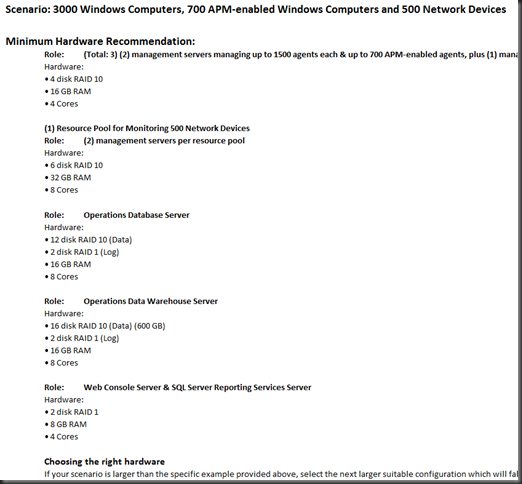 The SCOM 2012 Sizing Helper is basically an Excel macro sheet, which sizes your SCOM implementation based on inputs you provide, including Management servers, database/data warehouse servers etc. 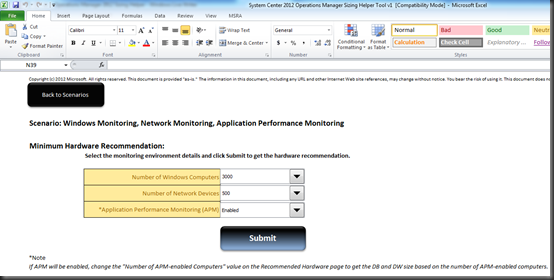 Partners should use this while sizing customer designs, and customers can use this for their in-house deployments and upgrades of Operations Manager.